This following sections describe the steps on how to manually re-install a new copy of WordPress to your hacked site and should be done in order as they appear. 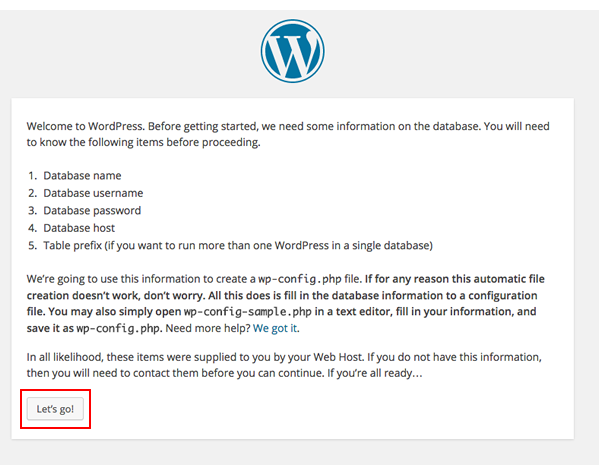 If possible, log into your WordPress dashboard at ‘example.com/wp-admin’. Once logged in, navigate to ‘Appearance > Themes’ to change your theme to the current default theme. Changing your theme now makes the process easier for you later. Don't reuse passwords – Most people use the same password in multiple places. Don't do it. You should make sure that your passwords are all unique from one another. This way, if one password is compromised, your other logins will remain secure. Use strong passwords – You can generate them from places like Strong Password Generator. At the very least, your passwords should be 8 characters long and consist of a mix of numbers and letters. Use a password tool – LastPass and OnePassword are great for protecting your passwords and generating new ones. You should change both your FTP user password as well as your database user password. For greater security, if your user is currently an FTP-only user, change it to an SFTP or SSH user at the same time you change the password. View the Enabling Shell Access article for further details. View the Finding your MySQL credentials article for instructions on how to obtain your database username and change its password. When you change the database user’s password, you will also need to edit your wp-config.php file to reflect this new password. 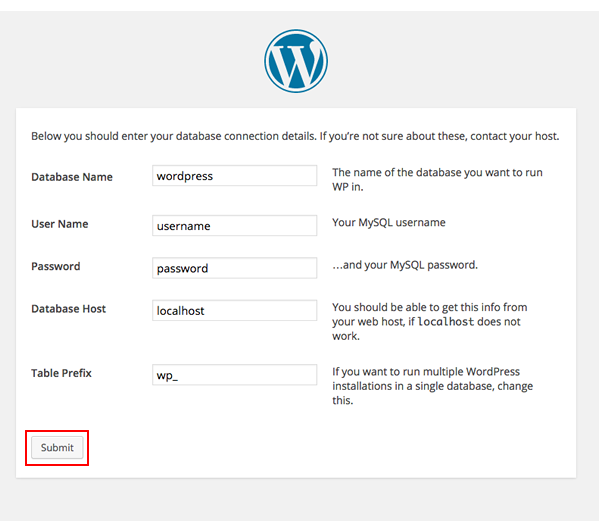 There is information on how to edit the wp-config.php file to change the database password at codex.WordPress.org. You can also view the WordPress wp-config article for further details. If you have multiple users for your database, make sure that you are changing the correct user's password. You can check which database user logs into your database for your WordPress install by looking at the wp-config.php file. Base64 hacks are insidious and leave a backdoor that hackers can use again and again on your site. Delete that section entirely, or better yet, just rebuild the wp-config.php. Log into the web server via FTP. Find your domain's directory (folder) which is most likely a folder with your sites name. If you’re in the correct directory, you’ll see a list of files and directories beginning with "wp-". It’s also possible you installed WordPress in a subdirectory such as /blog. Rename the directory (folder) where WordPress is installed. If it’s your primary directory, rename it ‘example.com_HACKED’. If it’s in a subdirectory, rename it to ‘example.com/blog_HACKED’. When you rename the web directory, your site will immediately be taken offline. Create a new, empty domain directory with the same directory name as the old one. View the How to Install a One-Click Install article for details on how to install WordPress using the One-Click Installer. If you already have a One-Click Install active for this domain, then you must first remove it. View the How to Remove a One-Click Install article for details. When removing the current One-Click Install, make sure to click the Remove from List button. DO NOT click the Delete all Files as that will permanently remove your website files. Navigate to your former hacked directory which you renamed to example.com_HACKED. Open the wp-config.php file. You’ll find all of the values listed above. The table prefix line begins with $table_prefix =. Navigate to your new WordPress install directory. Delete or rename the wp-config.php in that new folder. 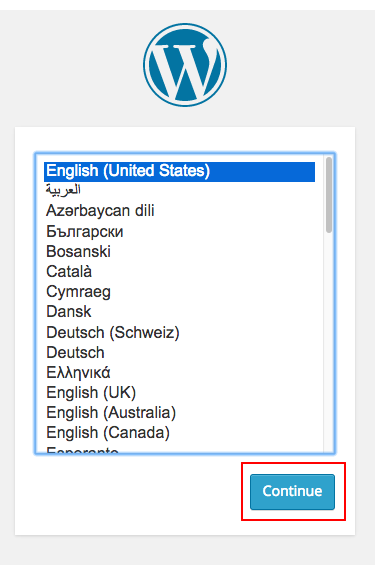 Select your preferred language, and then click Continue. Enter the required information, and then click Submit. Click the Run the install button. Your WordPress site is now fully installed and connected to your old database. However, it is not using your former theme, plugins, or previously uploaded images. This step describes how to add all of your previous themes, uploads, and plugins. WordPress themes are vulnerable to hacking. Always download and install a new copy of your theme rather than moving the theme files from your old install. If you changed your theme to the default theme before you started, your site should load your posts, but without the correct theme. If you did not change the theme to the default theme before beginning, the site may load a blank white page. This is because your database is looking for a theme that is no longer installed. Once you have your chosen theme installed and activated, you should be able to load your site and see your posts. Please check over the files you are moving and make sure they are all yours. If you move hacked code into your new install, it will infect your new site. The /uploads directory primarily contains media, so the files should end with extensions that indicate what kind of file they are (.jpg for a JPEG image, for example, or .mp3 for a MP3 audio file). BE VERY CAUTIOUS ABOUT FILES ENDING IN .PHP IN THE /uploads DIRECTORY. The final step is to install the WordPress plugins that you need for your site. Again, it is very important to install brand-new copies of your plugins, rather than copying over the files from the hacked install. You can install the plugins from your new WordPress dashboard. Only install the plugins you know you need and use. Cutting down on inactive plugins limits a hacker's access to your install and makes WordPress run faster as well. If everything goes well, you now have a brand-new install of WordPress, connected to your old database and with all your uploaded content, your chosen theme, and your chosen plugins. How do I install a One-Click Install?